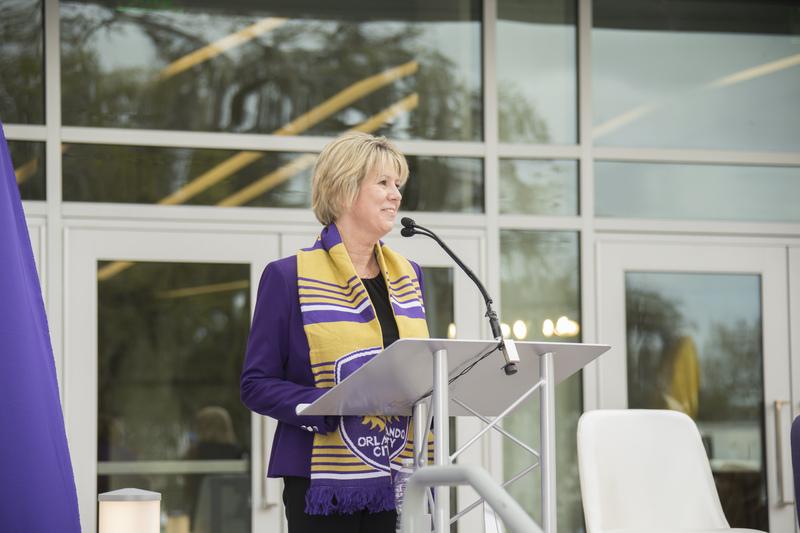 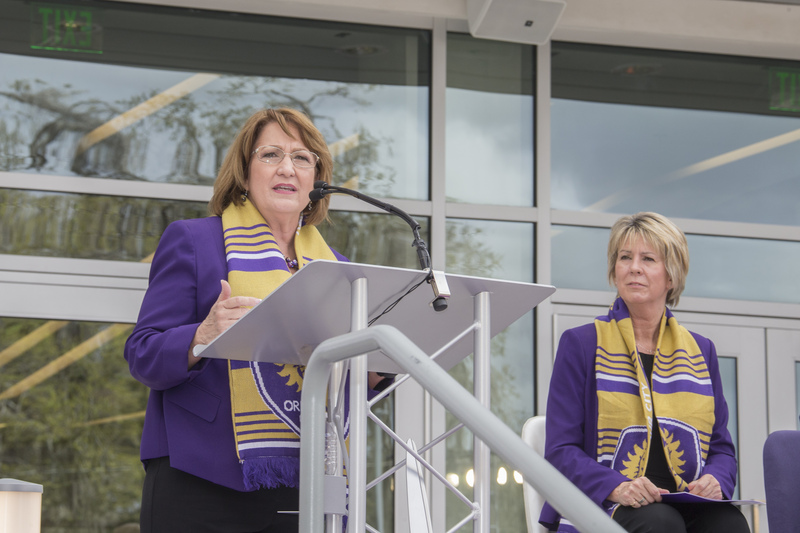 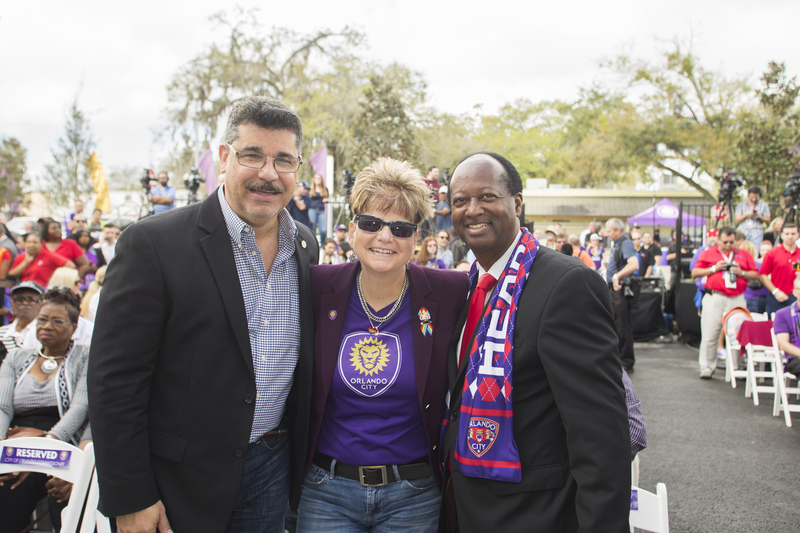 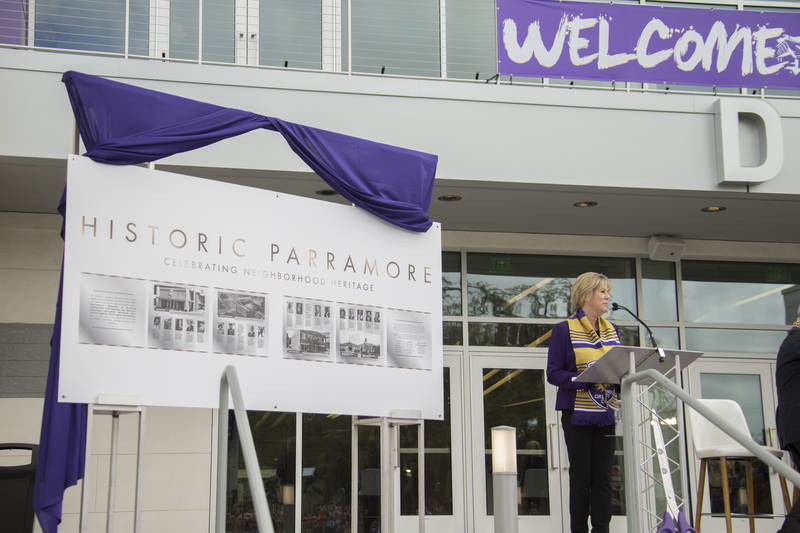 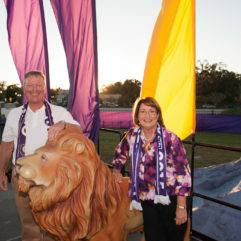 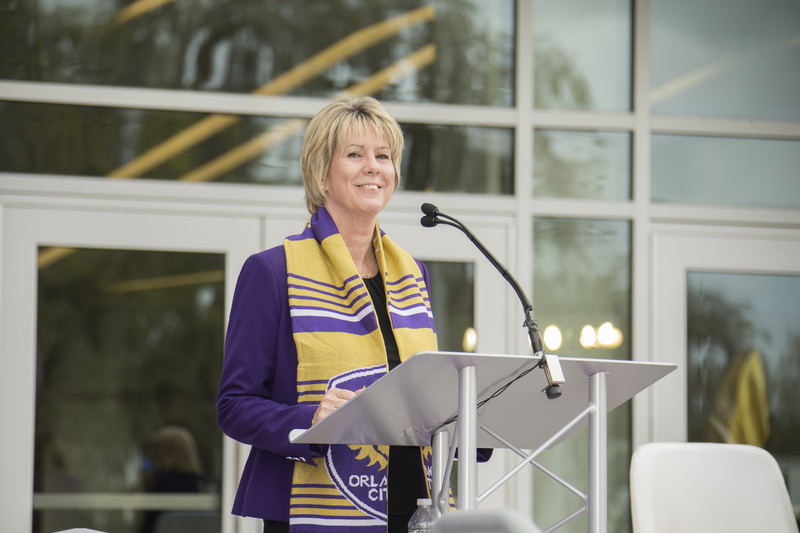 Orange County Mayor Teresa Jacobs joined the City of Orlando, Parramore Advisory Board, Orlando City Soccer Club (OCSC) as well as partners and fans from LionNation for the official ribbon-cutting ceremony of the new Orlando City Soccer Stadium on Church Street in downtown Orlando on Feb. 24. 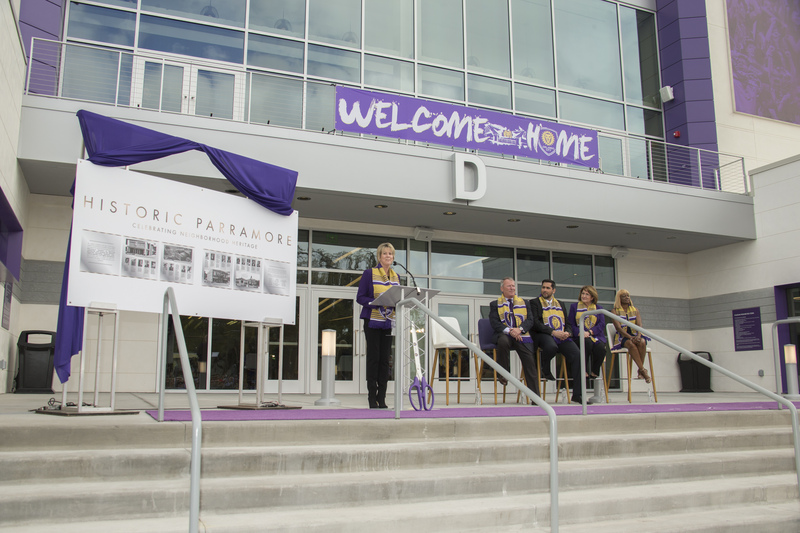 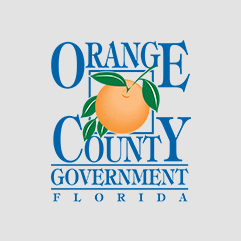 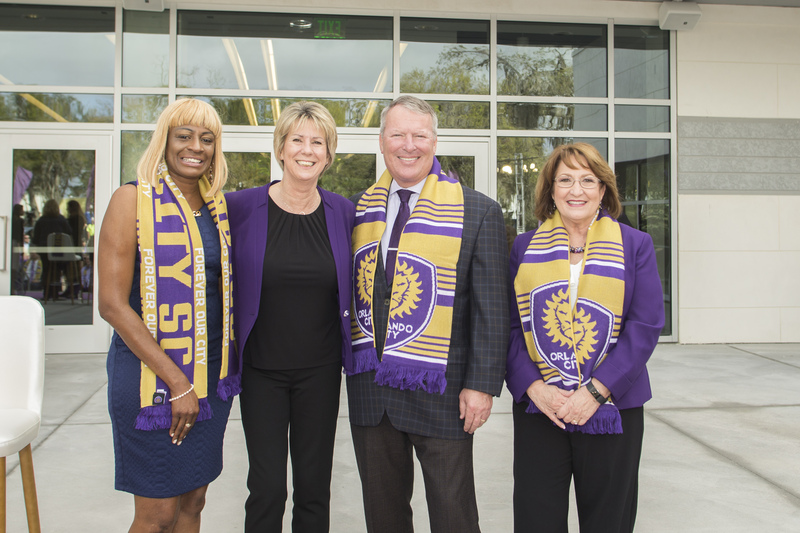 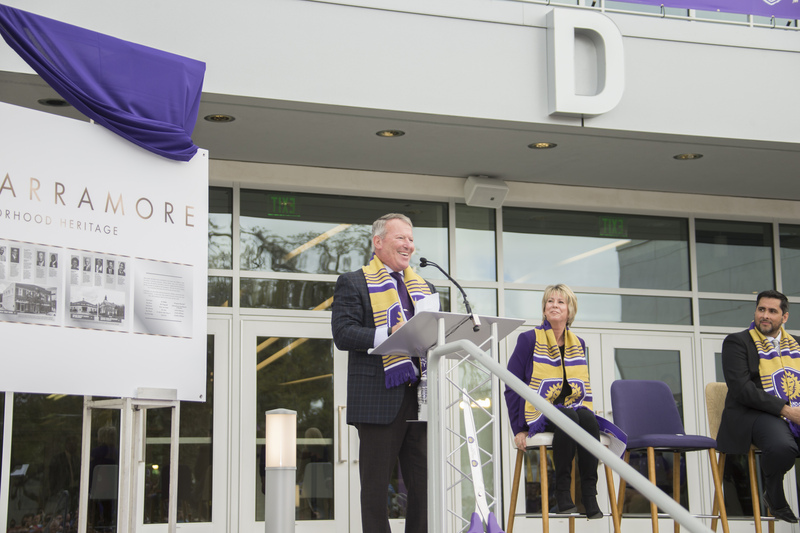 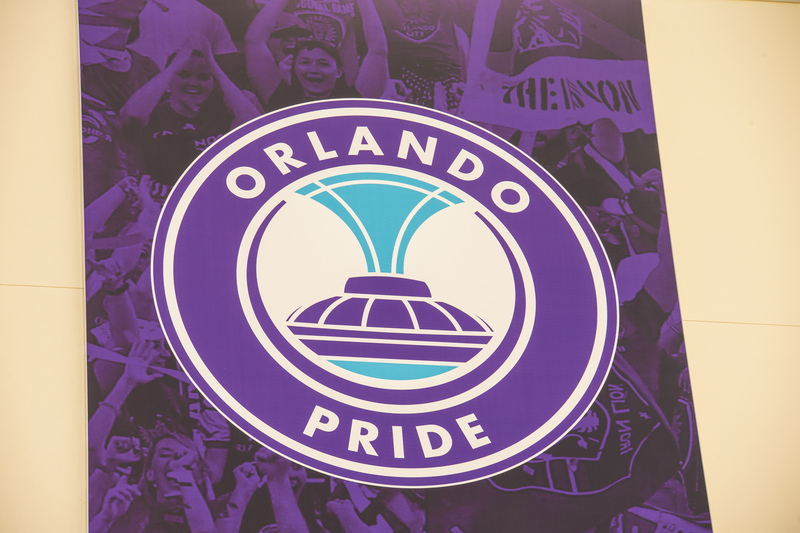 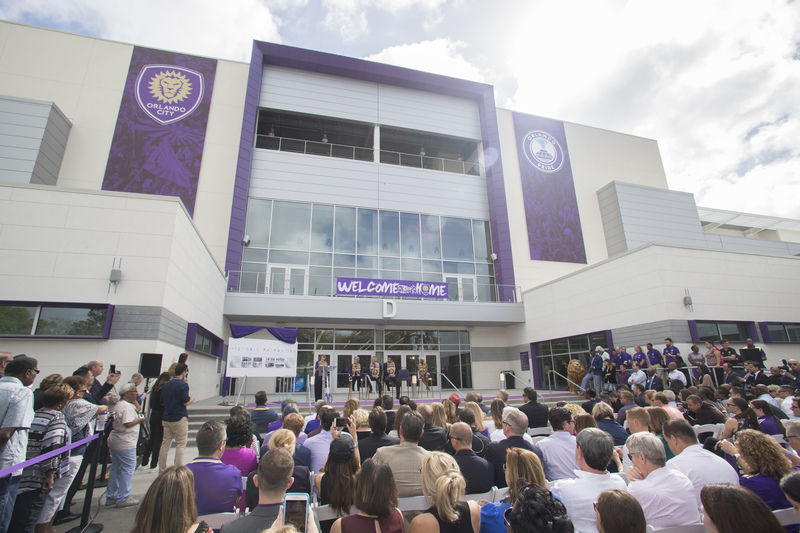 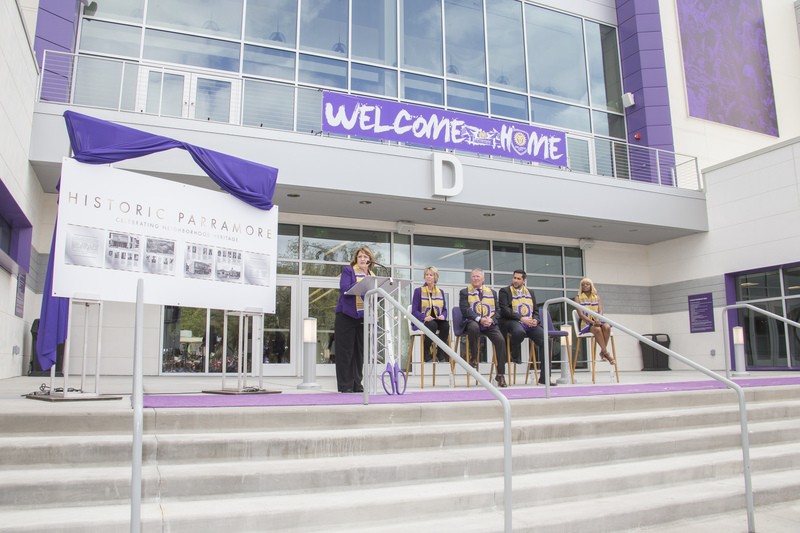 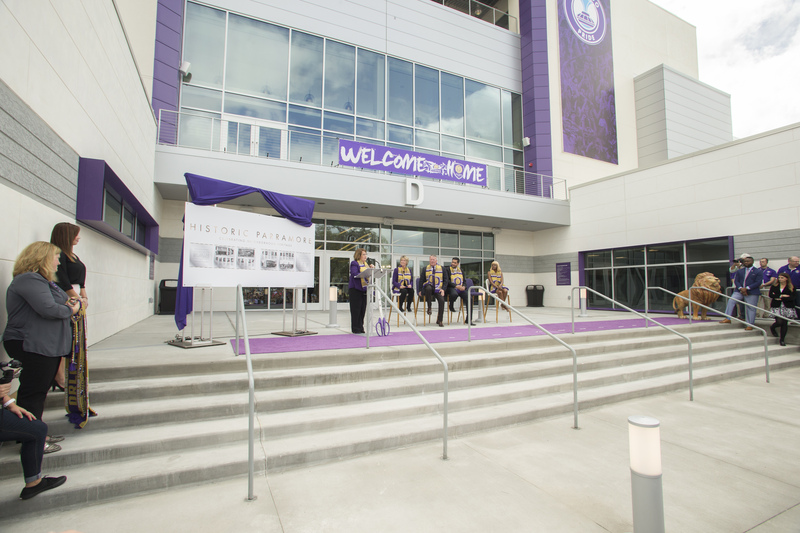 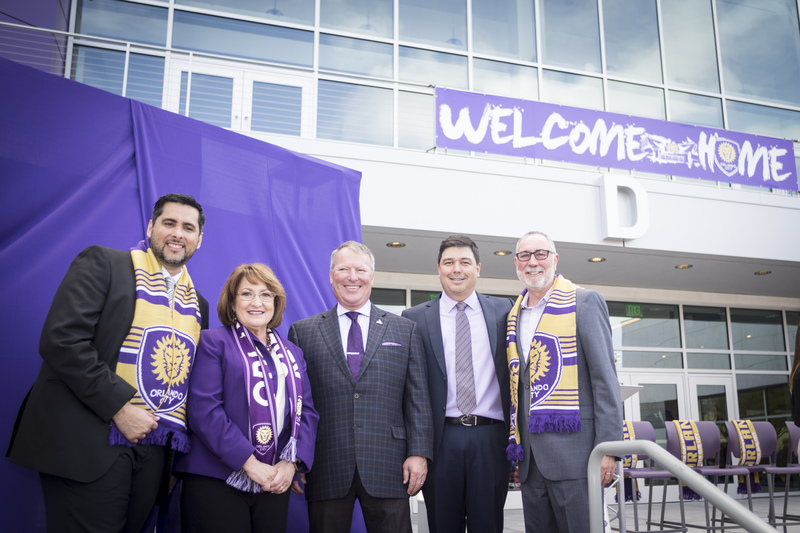 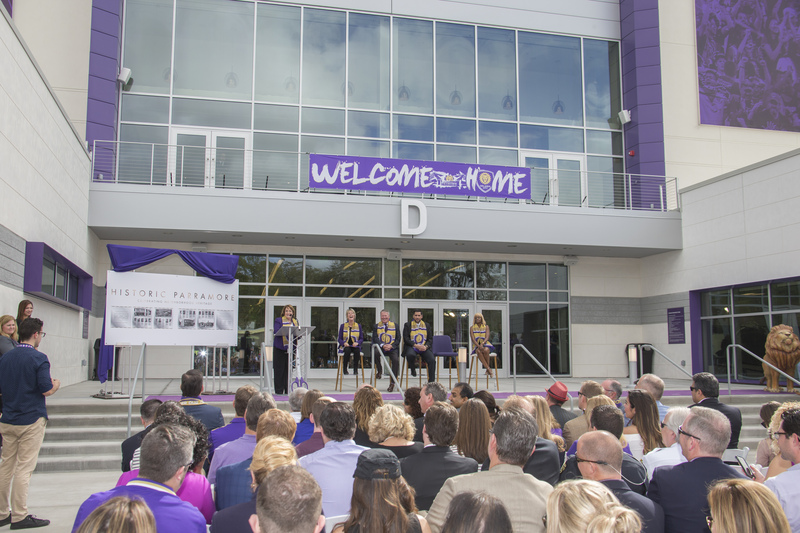 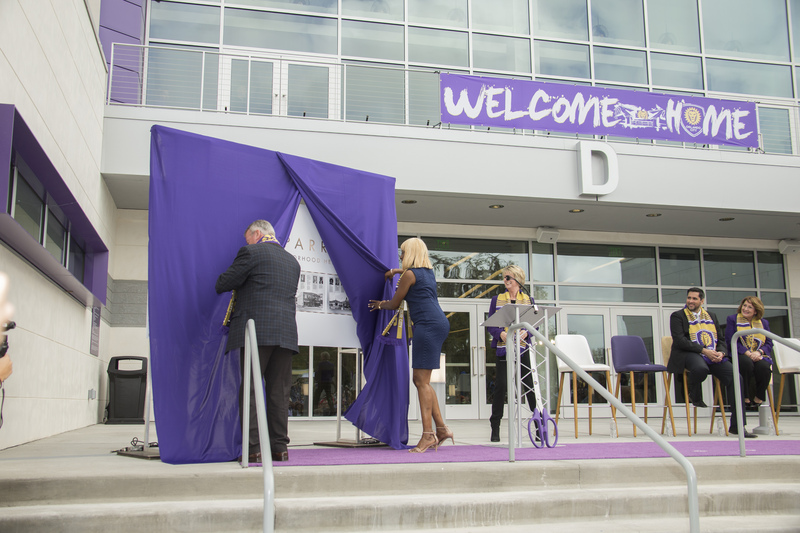 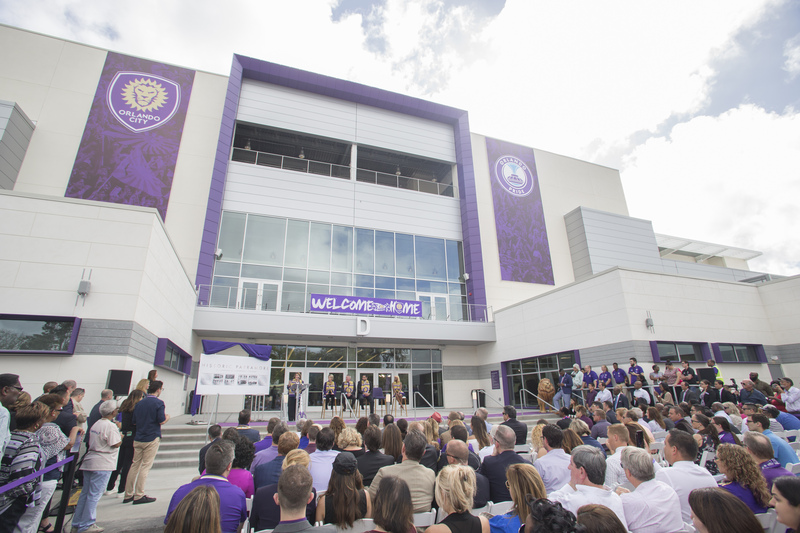 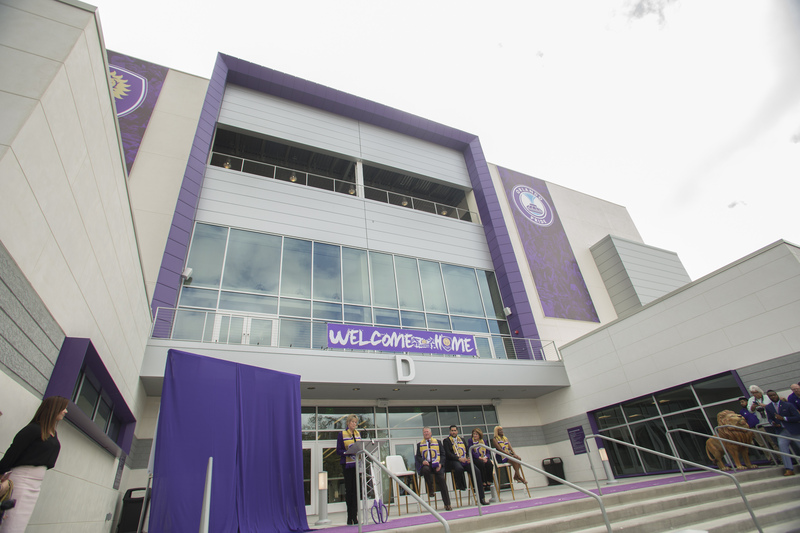 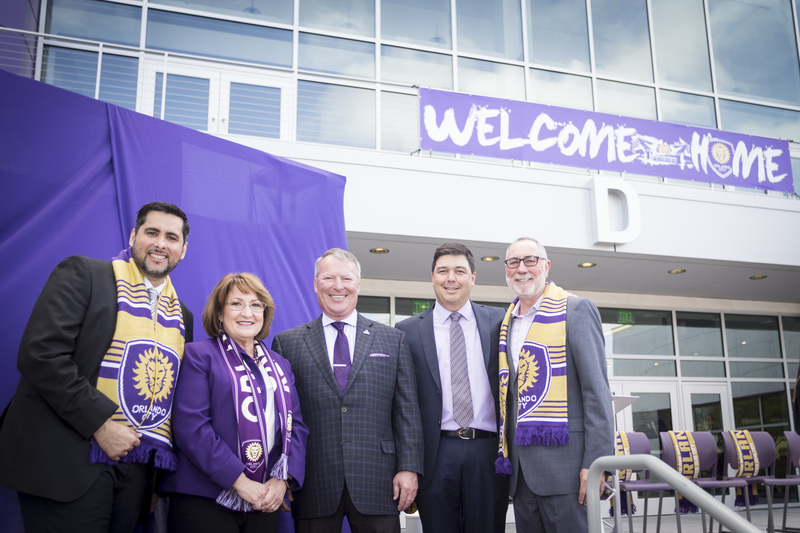 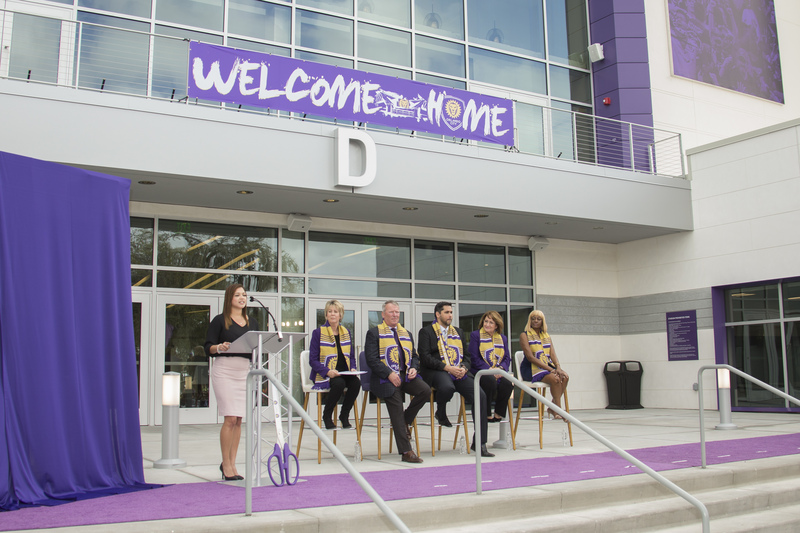 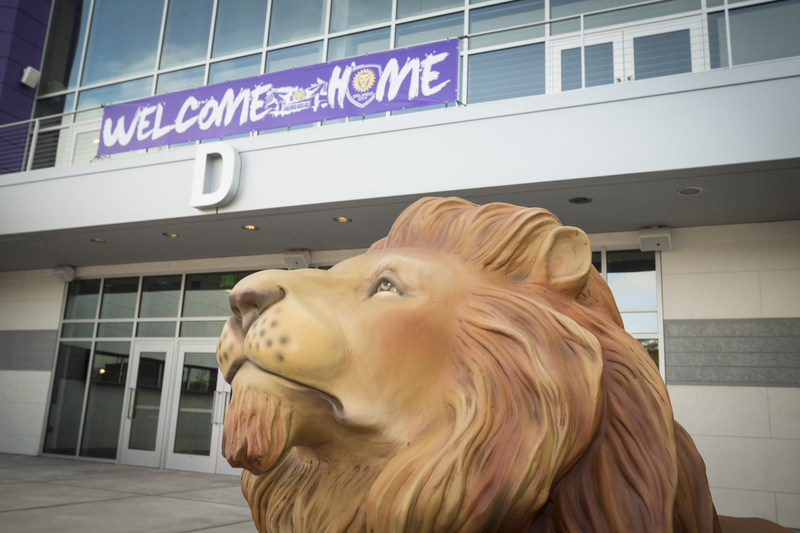 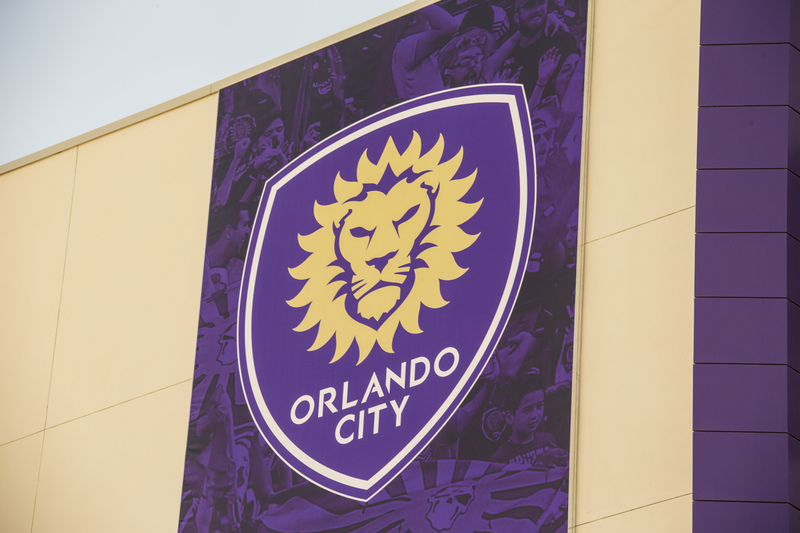 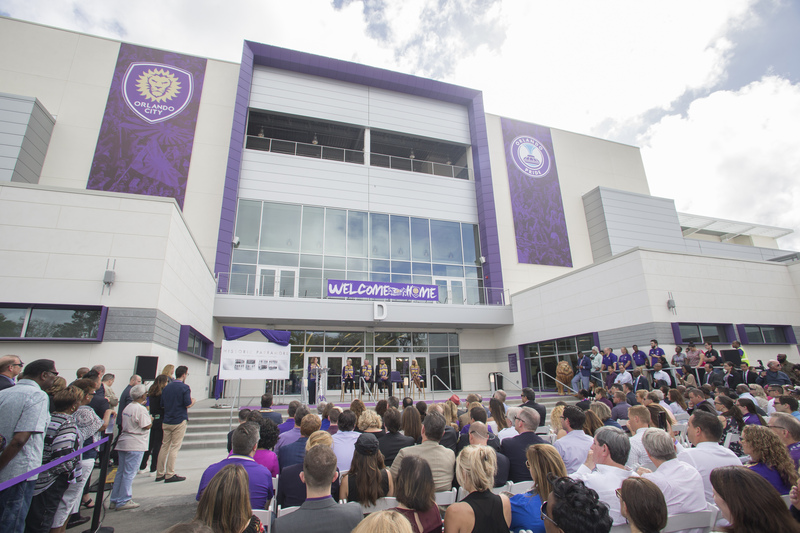 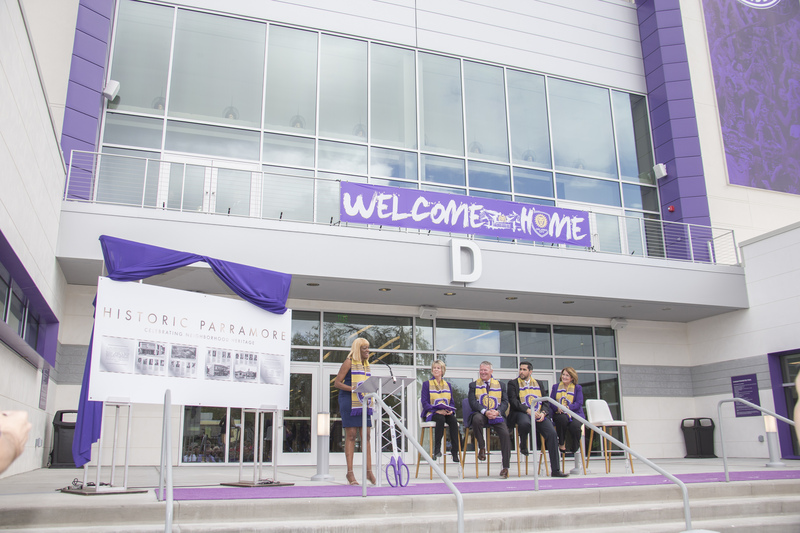 The stadium, located two blocks away from the Amway Center, will be the official home to both the OCSC Lions and Orlando Pride professional soccer clubs. 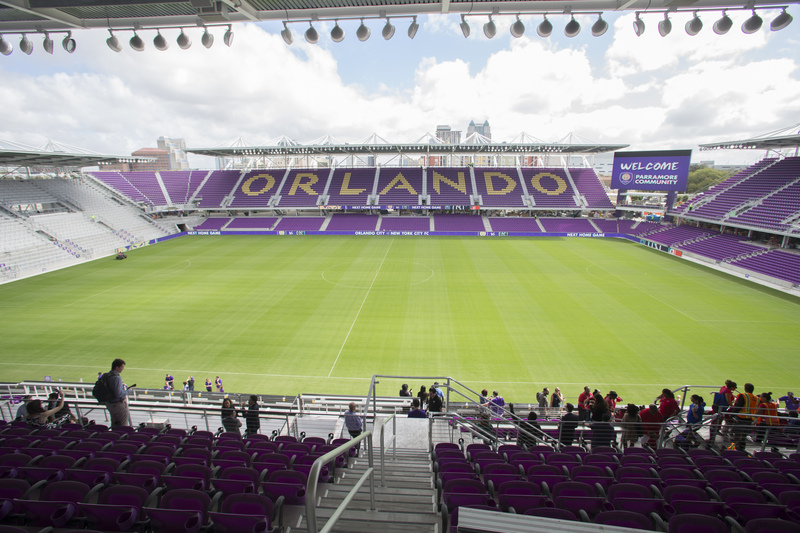 The first game in the stadium is set for Sunday, March 5, when the Lions will take on the New York City Football Club. 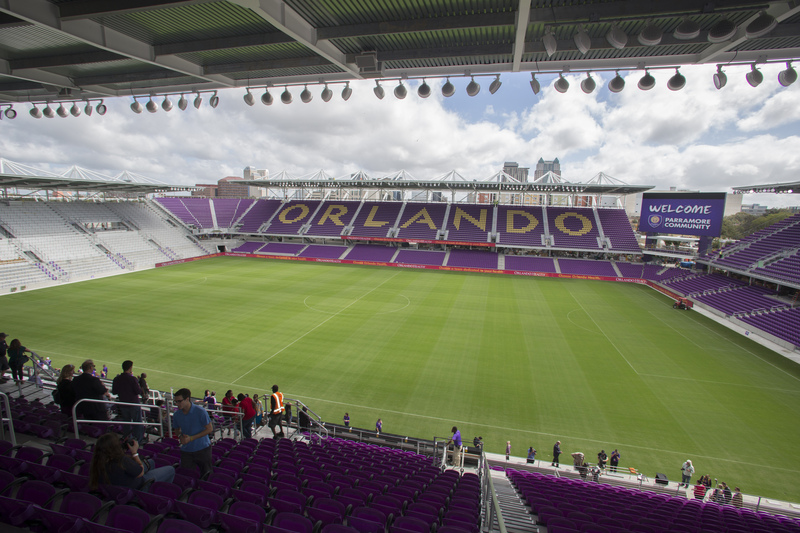 The new stadium seats 25,500 attendees and features a natural grass playing surface, a four-sided canopy roof to amplify crowd noise and North America’s first full, safe-standing supporters’ section. 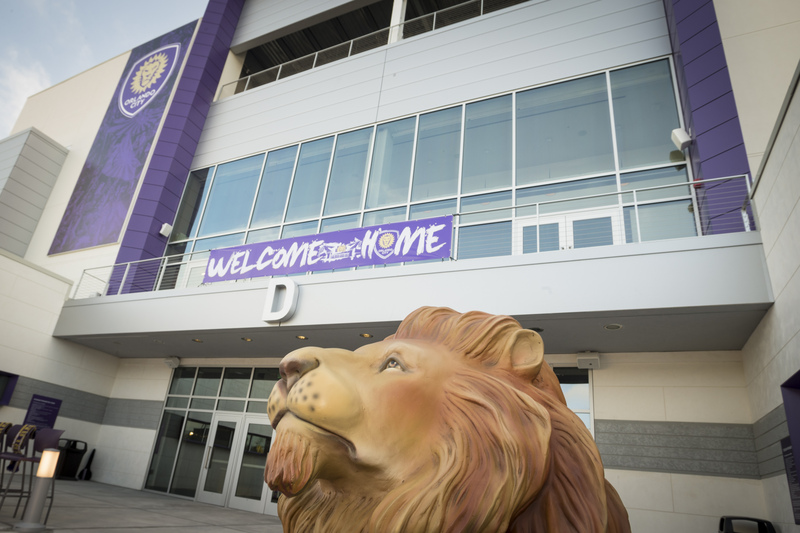 This season, the Lions will play 17 Major League Soccer games, 15 of which will be at the home stadium. 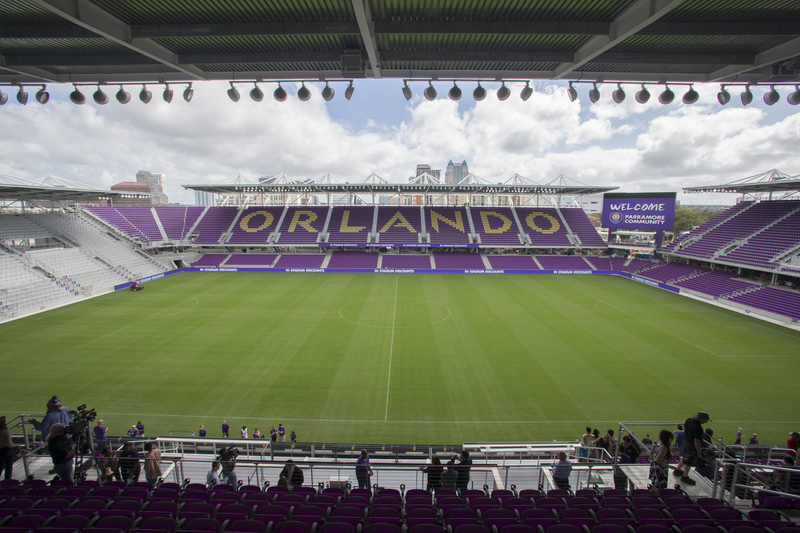 Tickets to the opening match on March 5 and the LA Galaxy match on April 15 are already sold out. 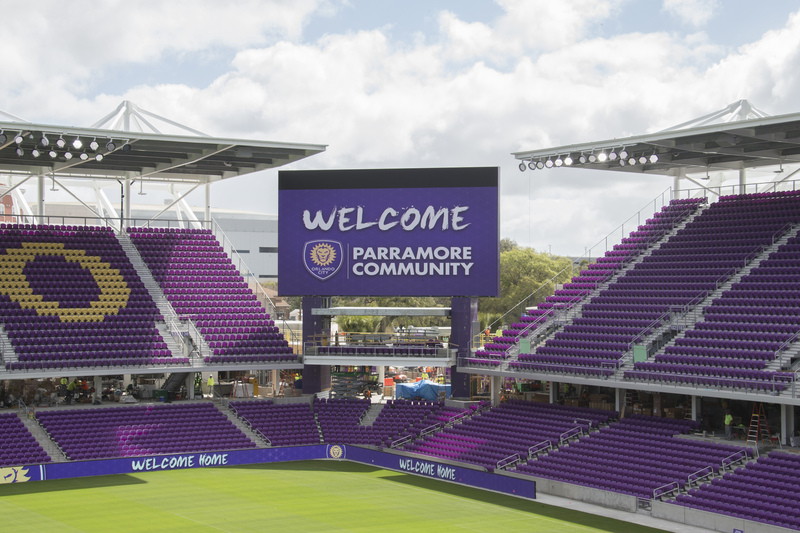 Tickets will soon be on sale for the remainder of the season and previous season-ticket holders will be able to transfer their tickets to the new stadium. 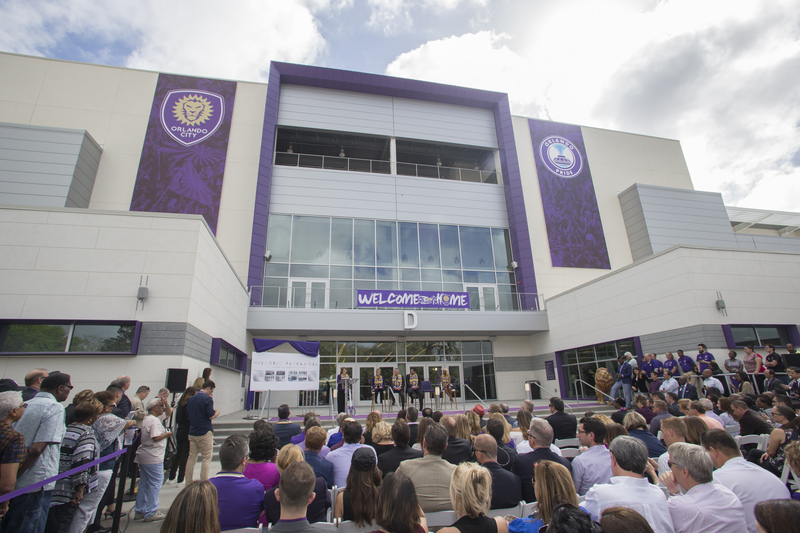 The new stadium was announced in March 2015. 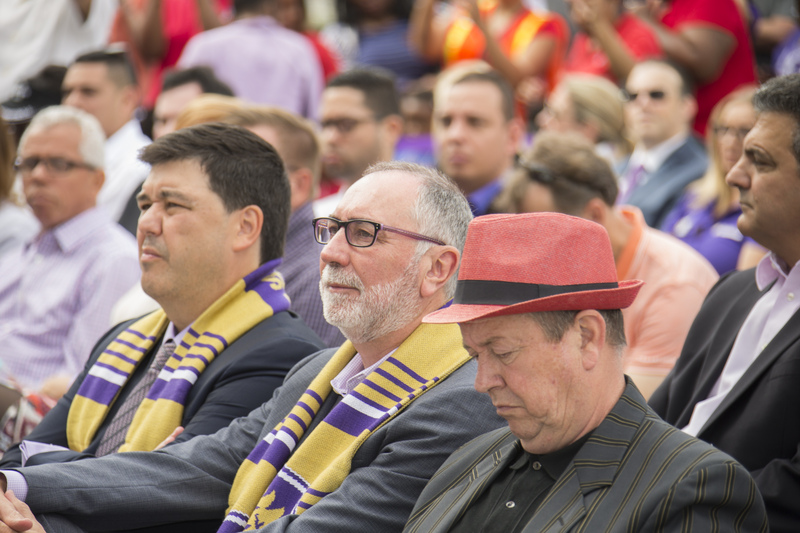 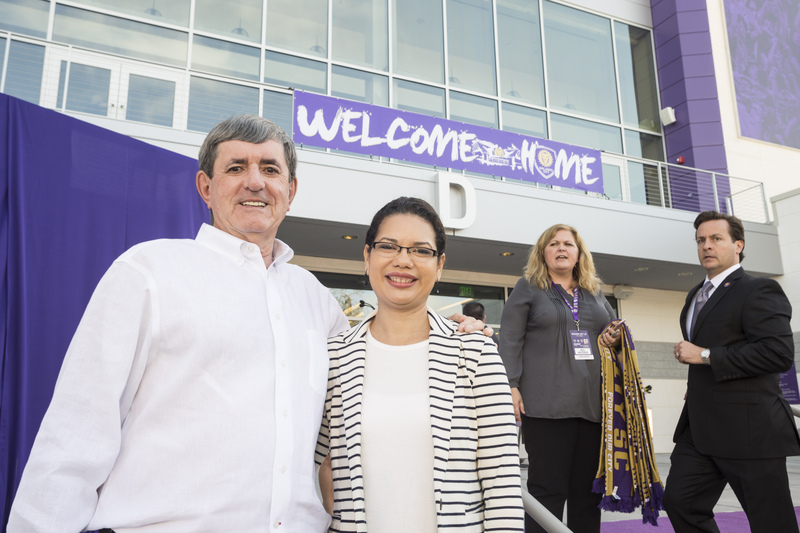 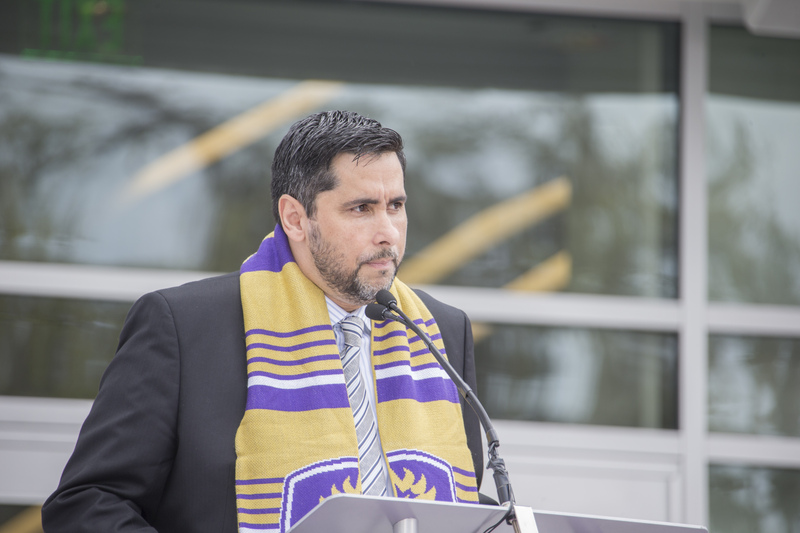 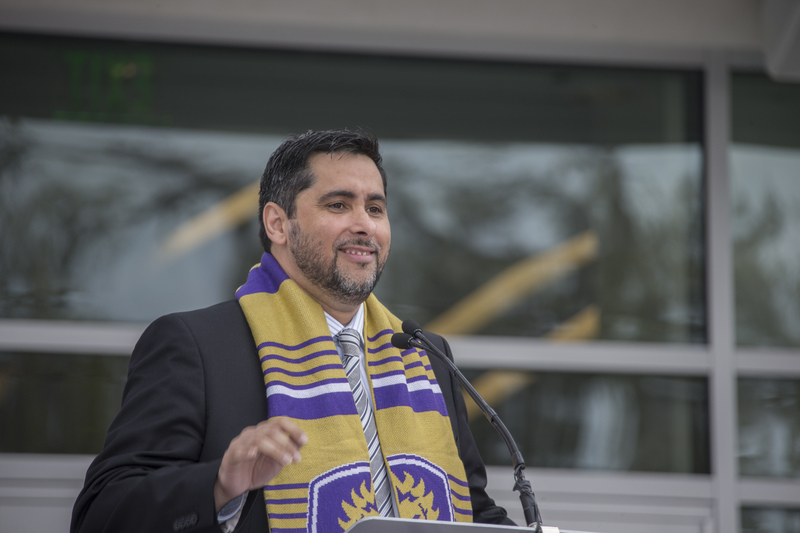 The need for the new stadium came after OCSC owner Flavio Augusto da Silva realized that the fan base was growing and that the market for soccer in Orlando was booming. 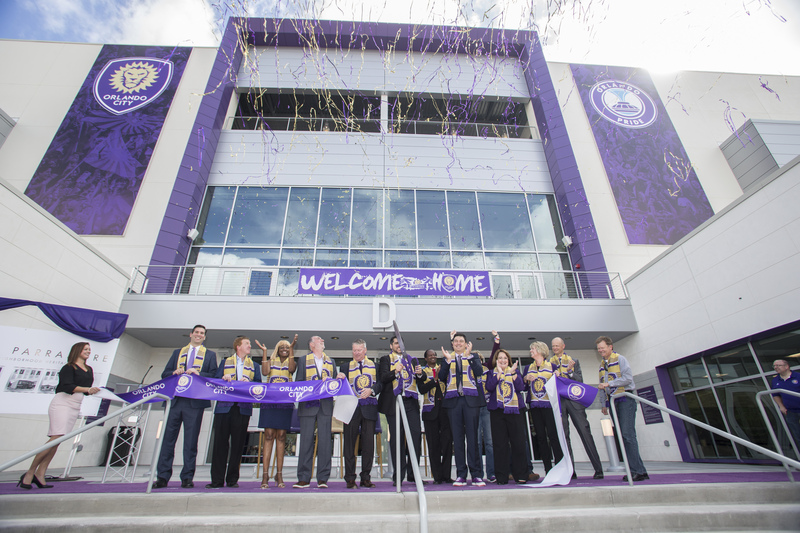 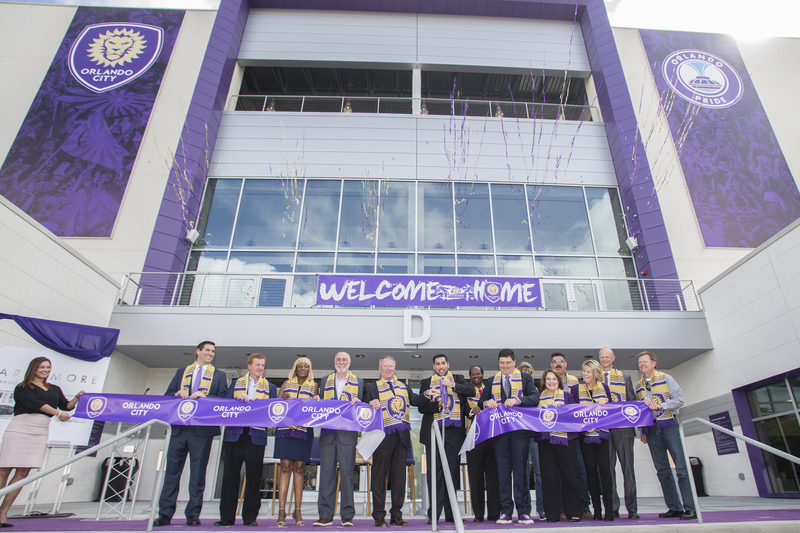 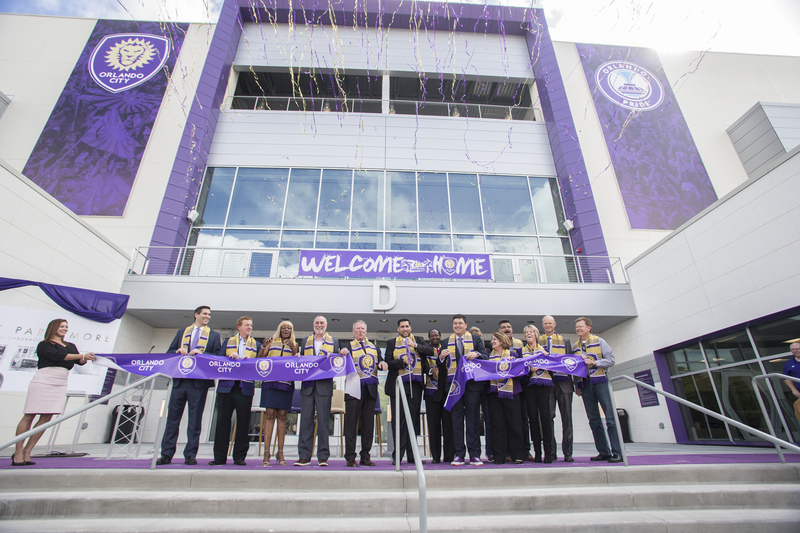 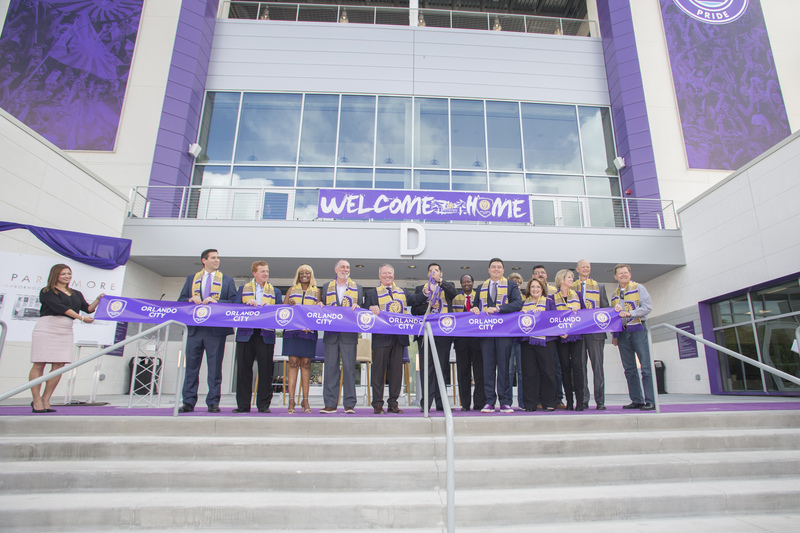 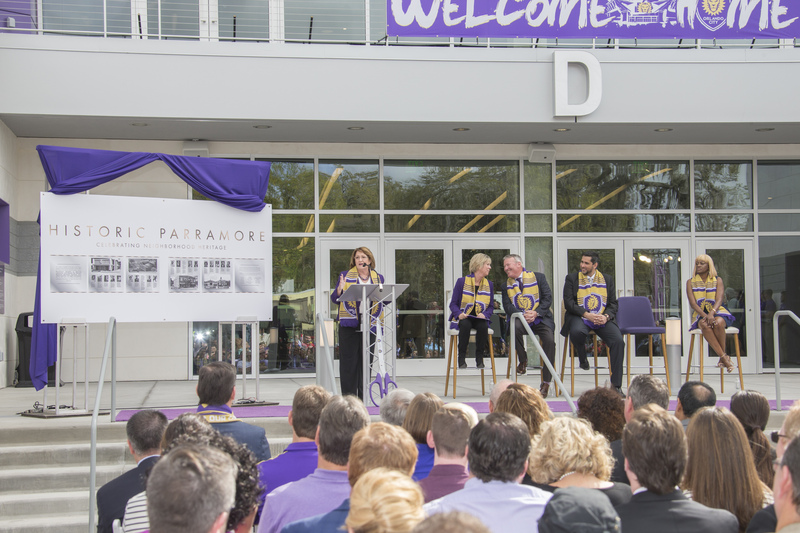 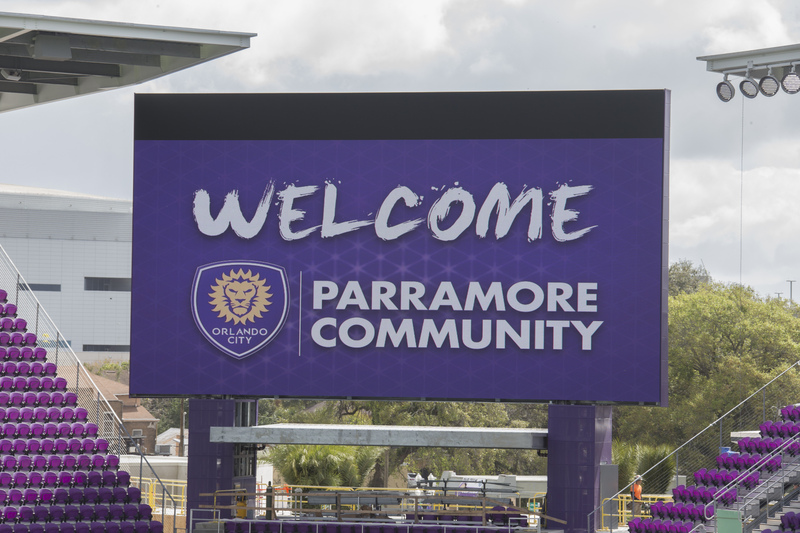 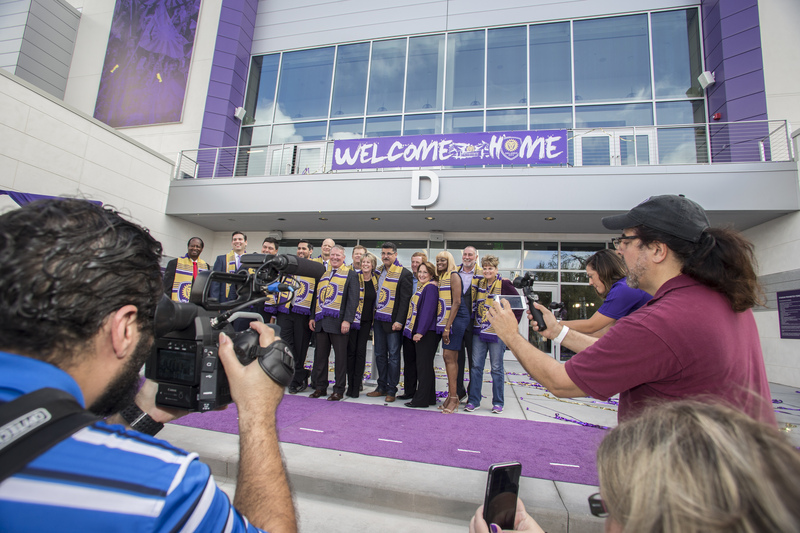 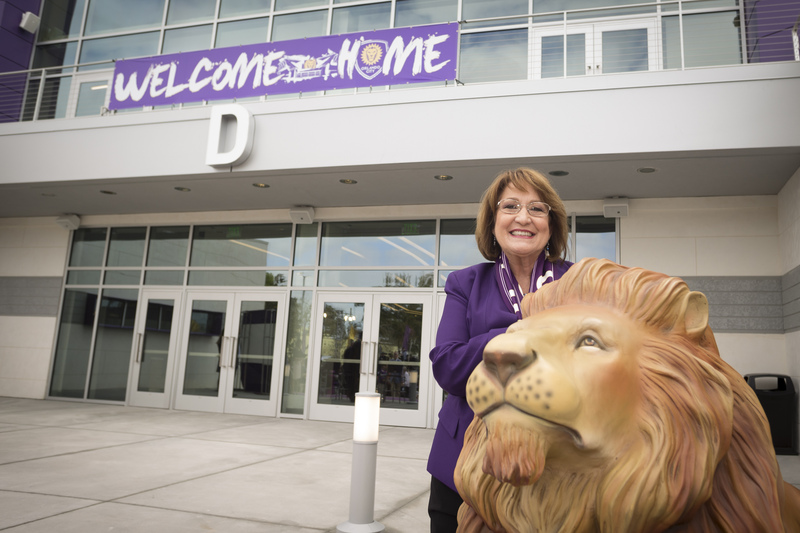 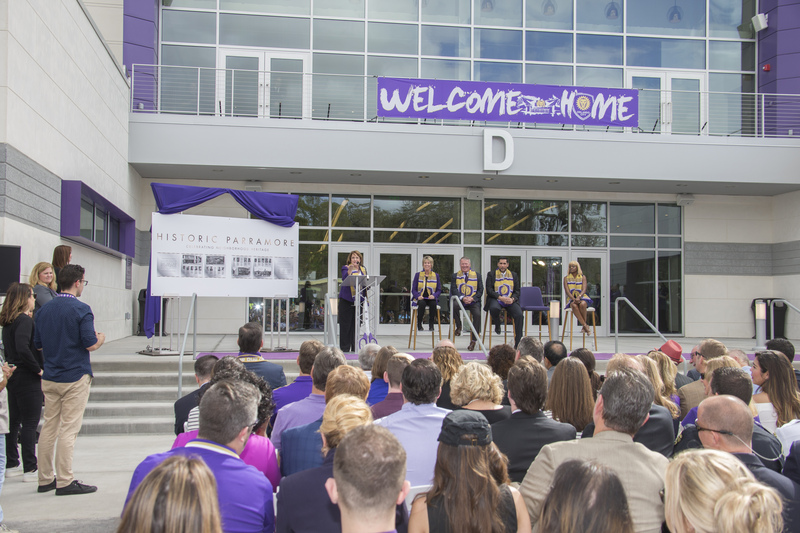 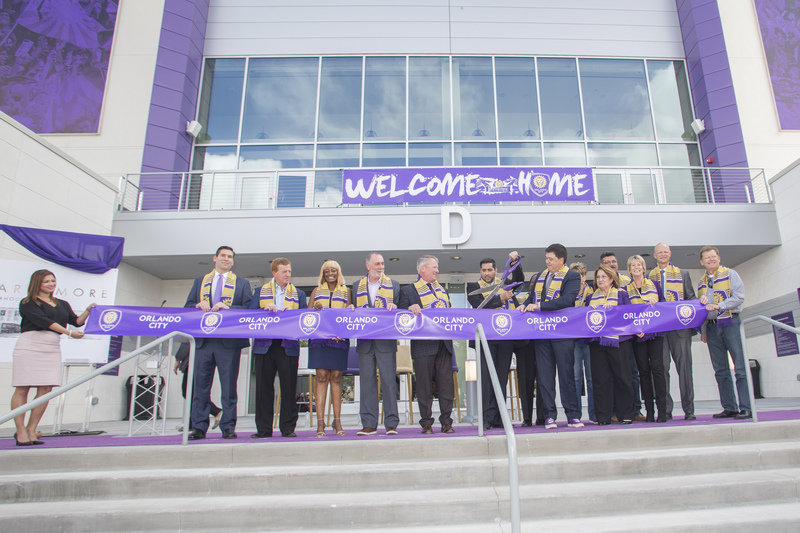 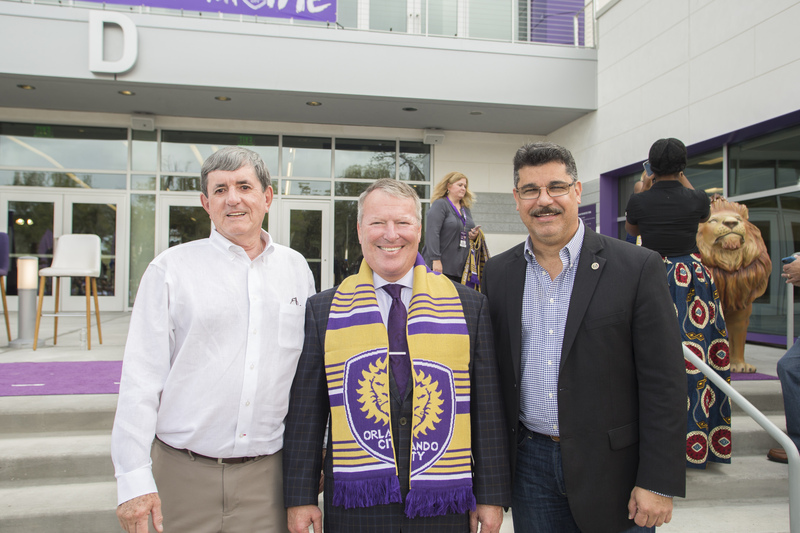 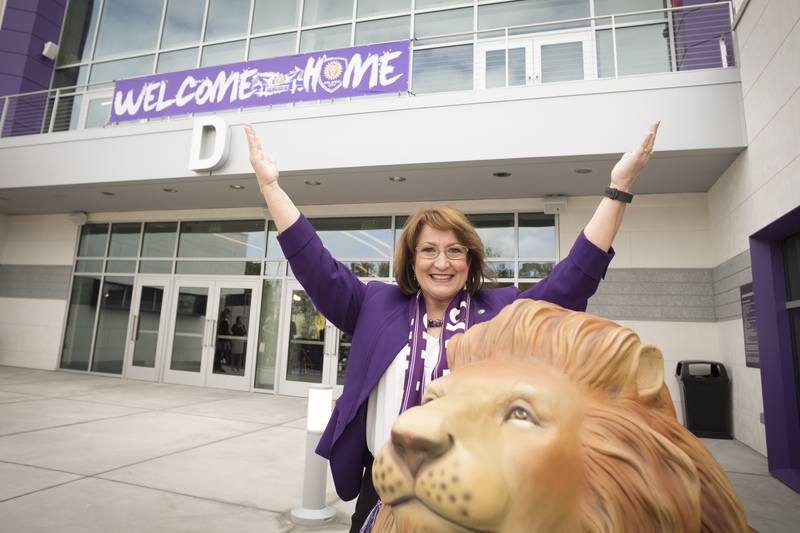 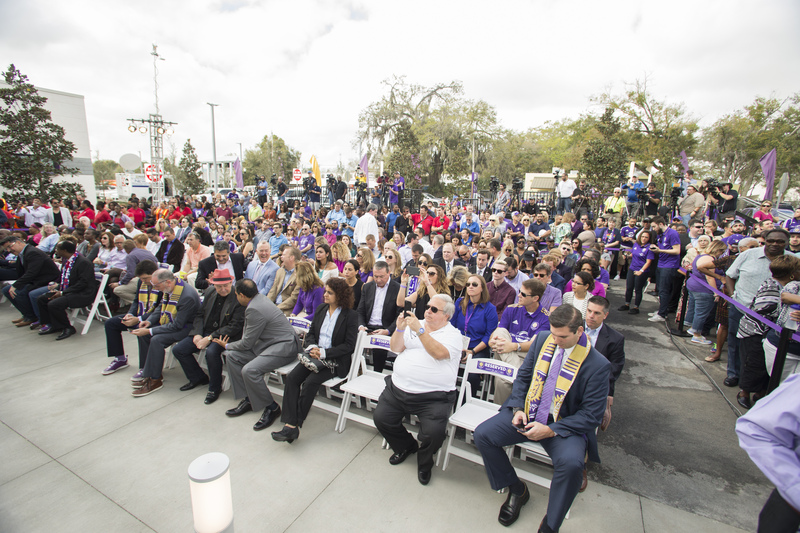 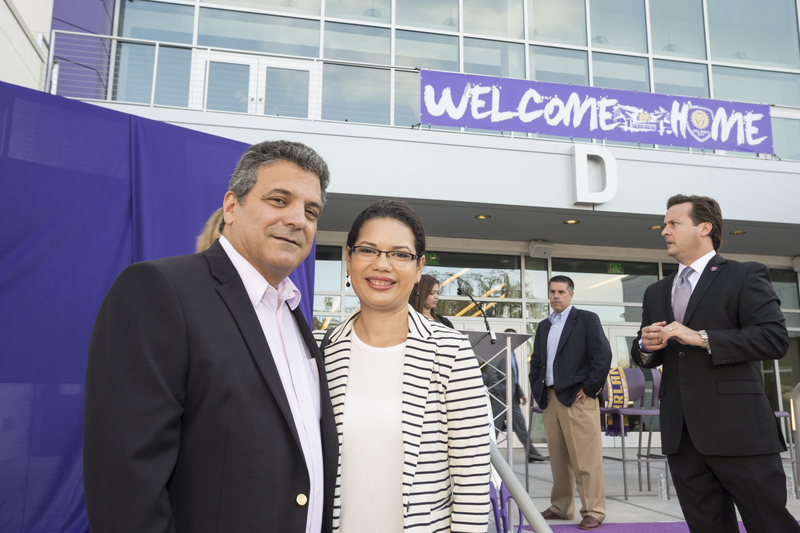 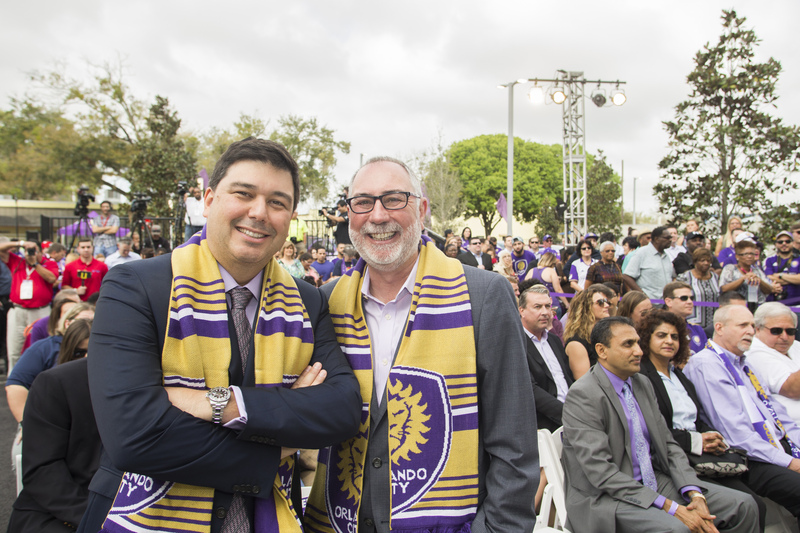 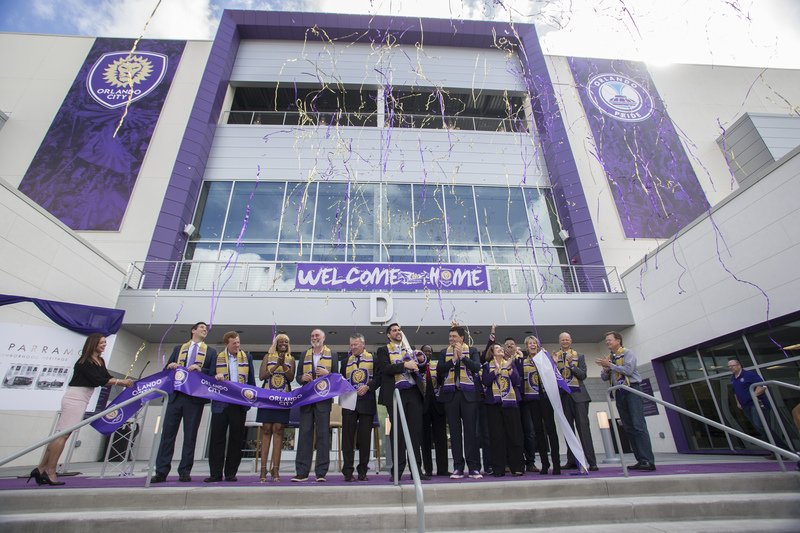 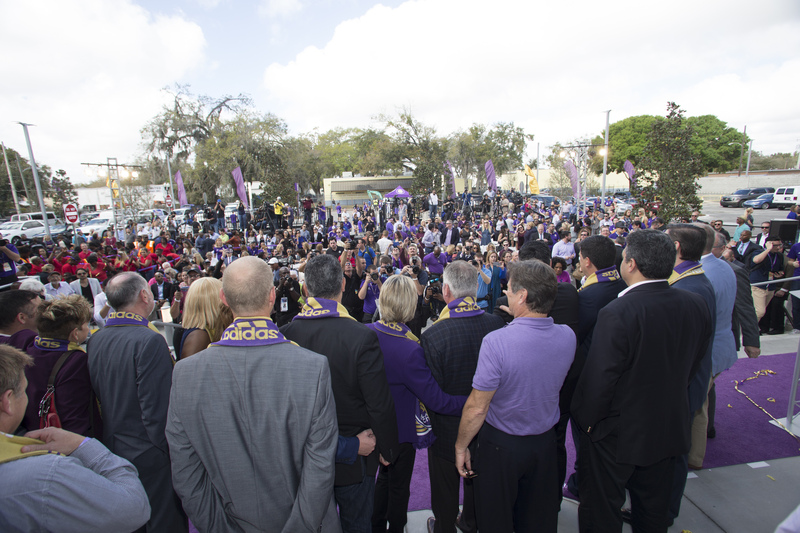 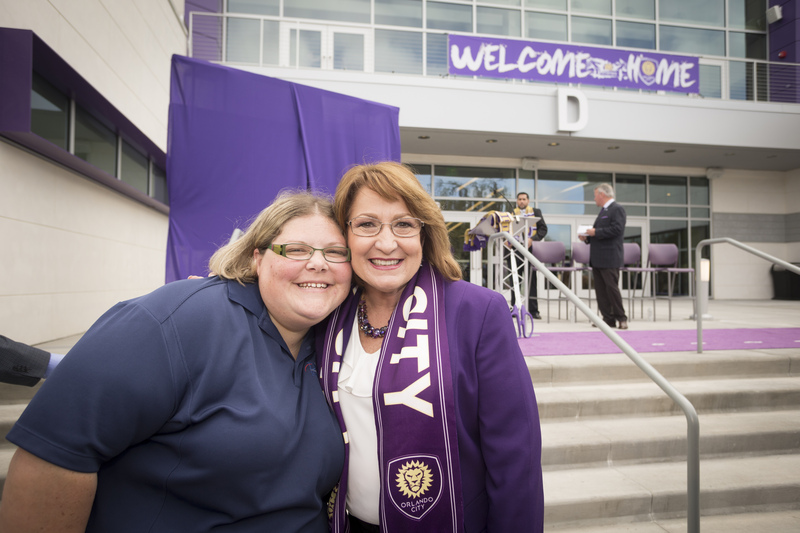 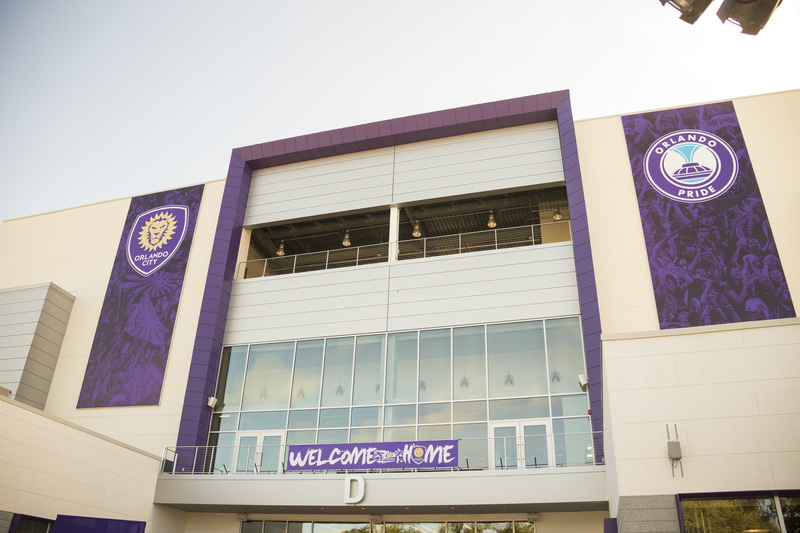 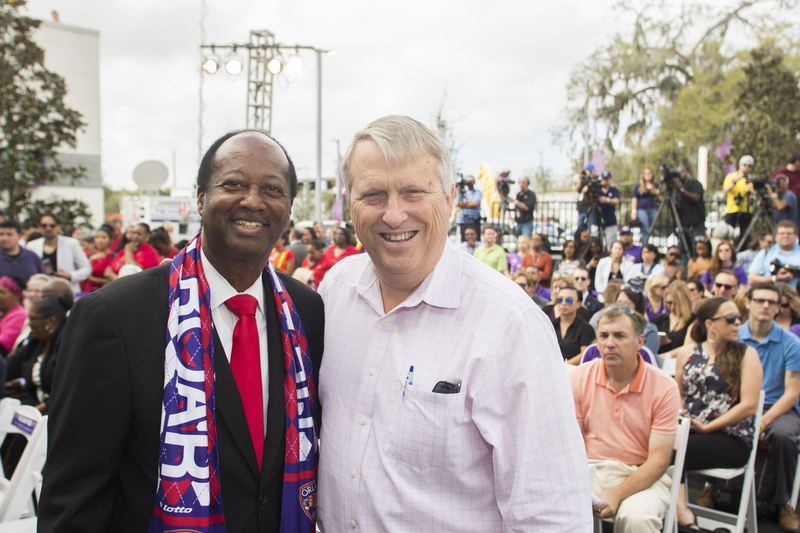 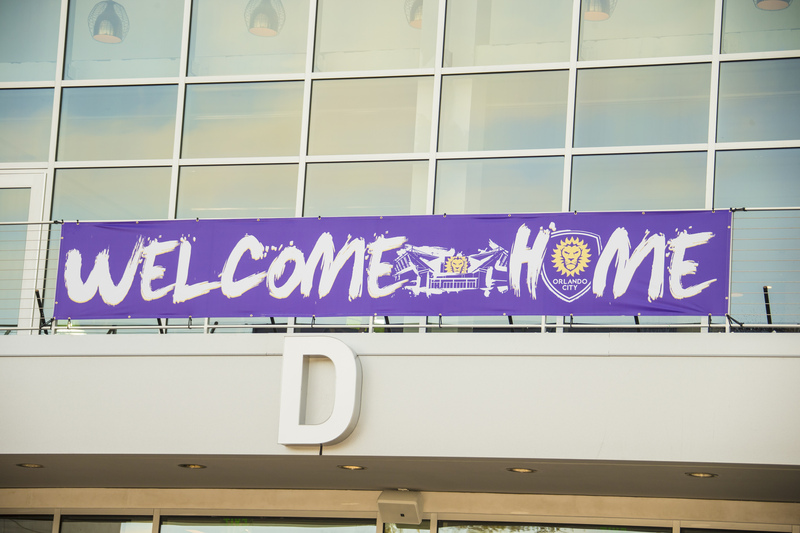 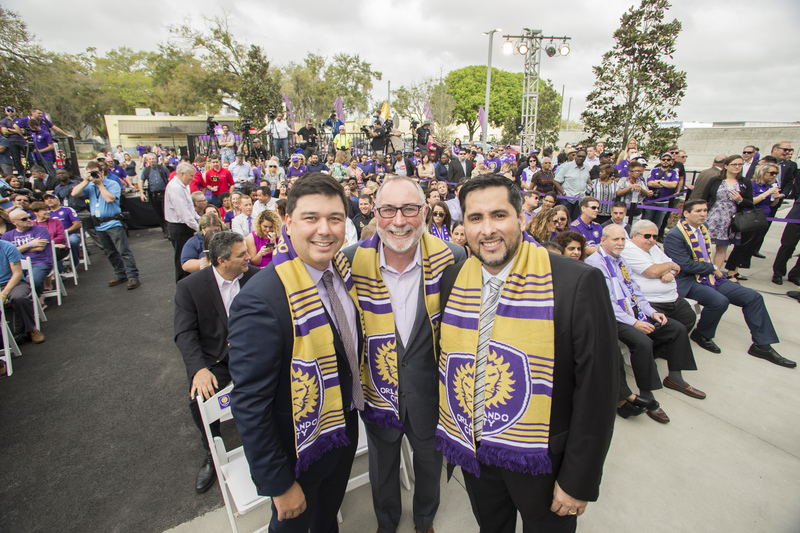 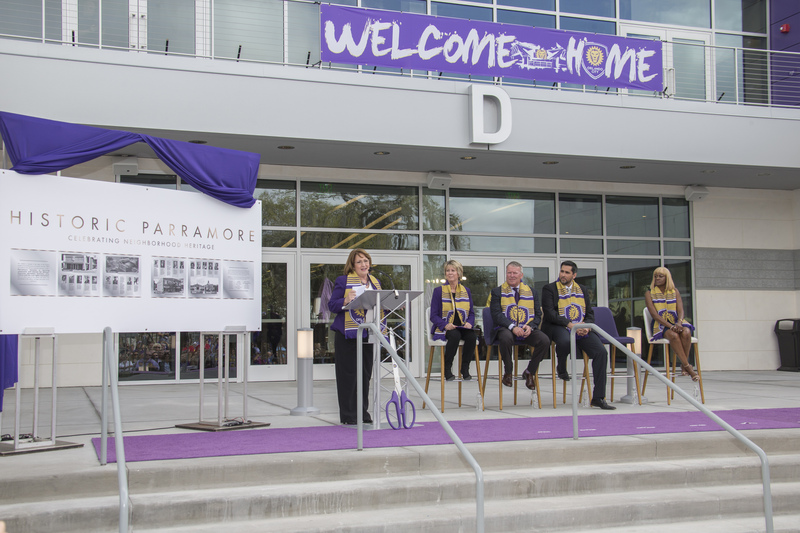 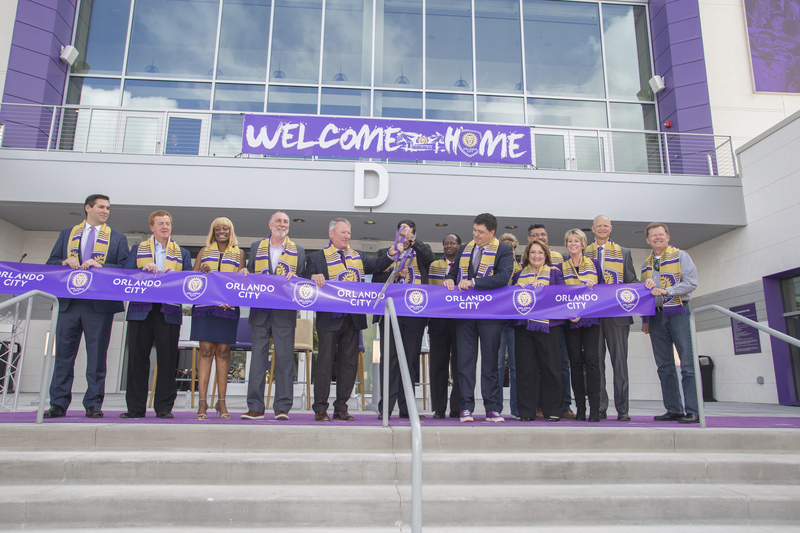 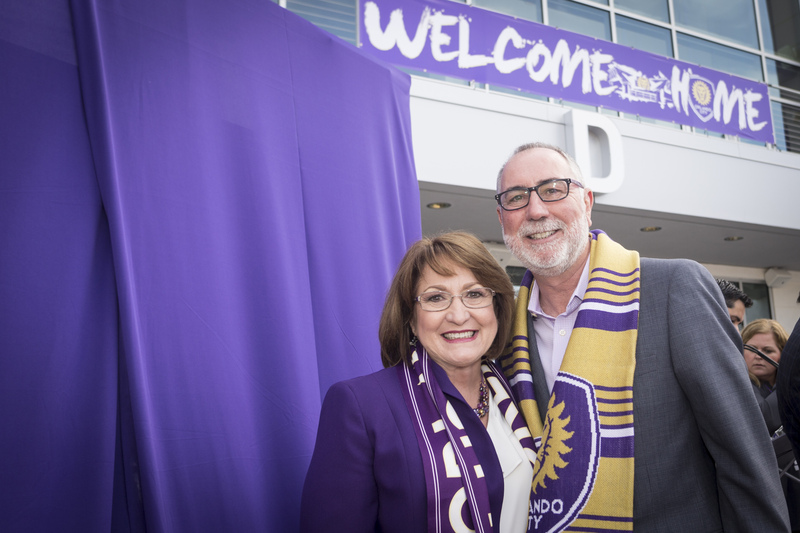 To view photos from the Orlando City Soccer Stadium Ribbon Cutting Ceremony, visit Mayor Jacobs’ Flickr album.